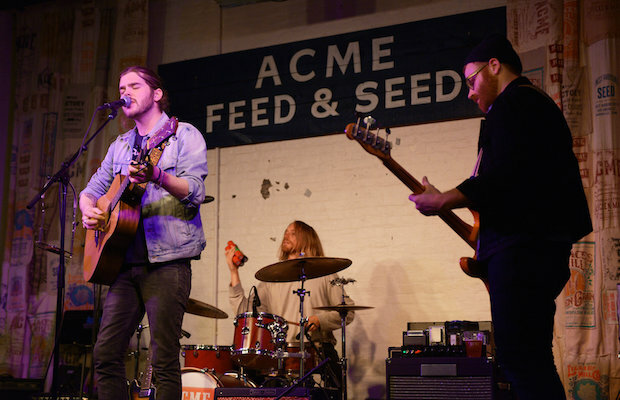 Every single Tuesday for the past several months, we’ve been teaming up with hip new restaurant and performance space Acme Feed & Seed to host a free showcase of some of our favorite emerging local and national talent. For our latest installment, which marked our first showcase back following our first ever cancellation (due to bad weather, unfortunately), we hosted local singer-songwriter on the rise Ian Johnson and a solo set from James Wallace & the Naked Light frontman and friend of the site James Wallace. Read on for more about it! James Wallace. Photo by Mary-Beth Blankenship. James Wallace & the Naked Light are one of the first local bands I became familiar with shortly after I moved here in 2012. I can’t remember if it was East Nashville Underground, some sort of showcase at Mercy Lounge, or somewhere else that I first saw them, but the group were always incredible the handful of times I caught them between 2012 and 2013. And, while things have been a bit more quiet on the JW&TNL front over the past year or so, they’ve remained one of the first Nashville acts I tout when explaining how great the musical landscape of our city is currently. The songwriter, frontman, and driving force behind the band, James Wallace himself, has always struck me as equally capable no matter who was backing him, though I’d never witnessed him perform alone until our Acme show. 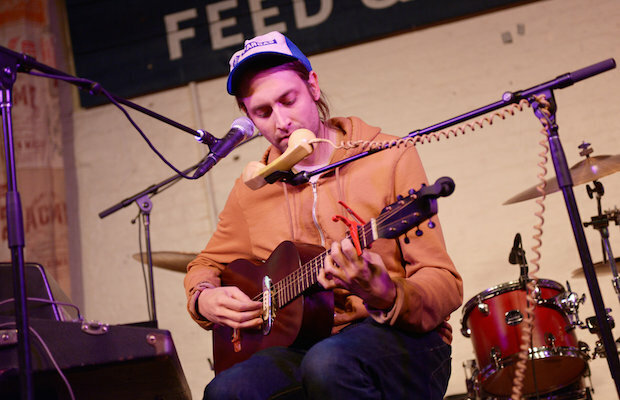 Admitting that he took on the task as a way to challenge himself, Wallace took the stage surrounded by instruments (a guitar, a keyboard, perched upon a hand drum, and, much less conventionally, a modified old telephone handset connected to some sort of vocal box), and explained to the crowd that he didn’t mind how attentive they were, as long as they felt the vibe of his set. Performing a mix of originals and covers (mostly obscure, with interesting backstories), Wallace brought his signature range and control of dynamics, alternating between more somber and upbeat tunes, running the thematic and musical gamut. A truly gifted writer and performer, James delivered his performance in a much more intimate and informal way than I’ve ever seen him play before, and, as a big fan of his style, it left me even more in awe of his talent. It’s always great to see singers try new things, and I’ve love to see more solo stuff from Wallace; however, it’s also been a long time since I’ve seen him do the full band thing, so, hopefully, we’ll get a chance to welcome him back to Acme in that capacity sooner or later as well! Unfamiliar with Ian Johnson before we added him to this bill, I was taken aback by how much buzz this young singer has been generating while putting together a preview for the show. Hailing from Santa Rosa, California, and set to release his full-length debut, Lord Have Mercy, this spring (recorded here in Nashville at Silent Planet Studio), this transplant seems destined for big things very soon. 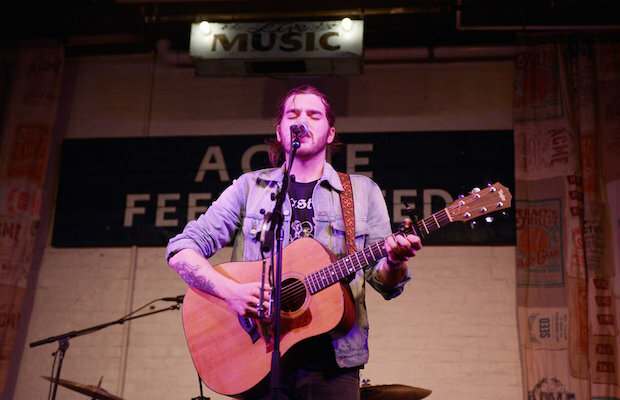 In fact, the general consensus from a few industry-minded friends in the know is that Johnson might just bypass the Nashville circuit altogether, and quickly rise the rank of national touring artist. Whether or not this will be the case remains to be seen, and, likely will lie heavily on the singer’s new album, but, if Acme was any indication, he’s definitely got the talent and charisma. If I heard him correctly, Johnson proclaimed this gig to be his first with a backing band (maybe this particular backing band? ), and, if that was truly the case, I would never have guessed. Challenge a fairly straightforward singer-songwriter-y vibe, with some definite rock and roll bite, Ian played with a confidence and seasoned delivery of someone who’s been doing this for quite awhile. Since I’ve only heard the couple of singles he’s officially released, the whole set was new to me, and, while some songs didn’t leave a huge impression (I probably just needed a few listens to digest them), there were several that I would definitely peg as certifiable hits in the making. Apparently, Johnson hadn’t planned to start gigging around Nashville just yet, which makes us all the more proud to have hosted him. Keep an eye on this dude! Ian Johnson. Photo by Mary-Beth Blankenship. 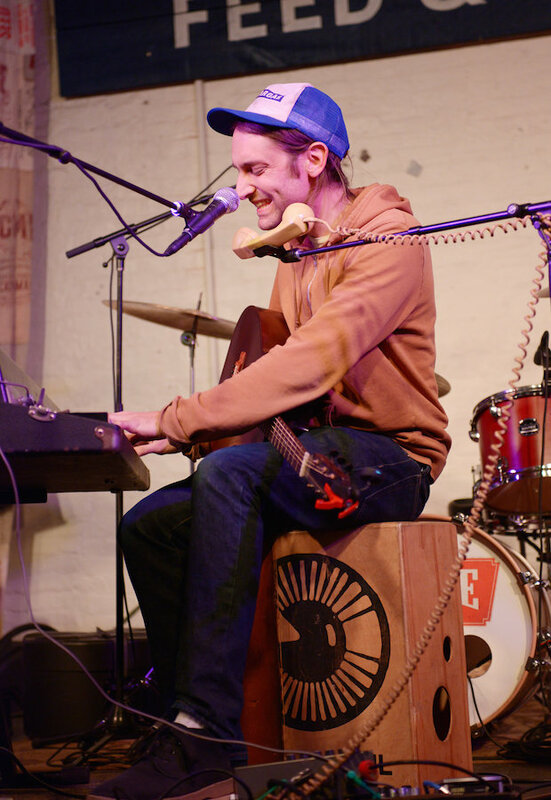 Our free, weekly Acme showcase continues this Tuesday, Feb. 24, with Zeke Duhon & Liza Anne. We hope to see you there!